Mature trees on corner lot with new home in one of Beltons newest neighborhoods. 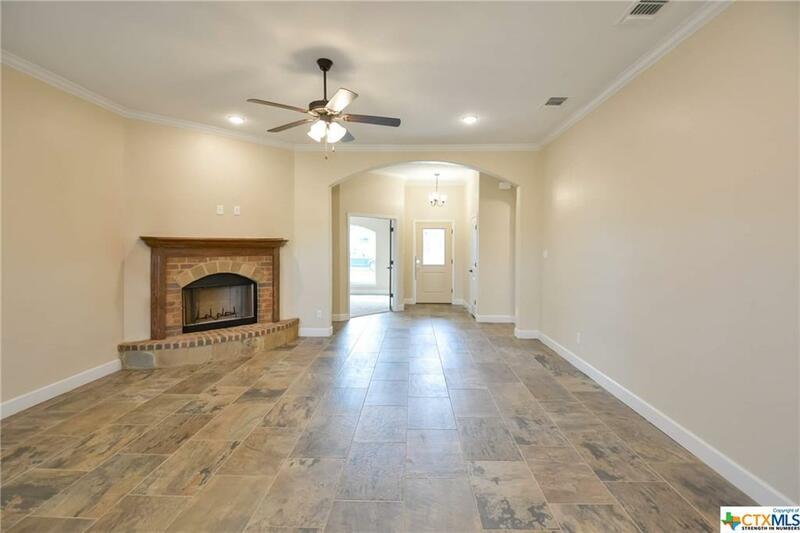 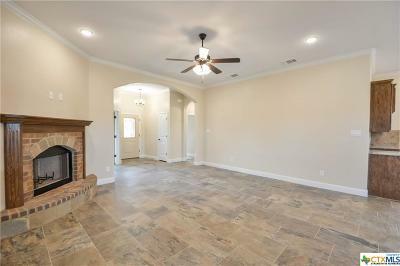 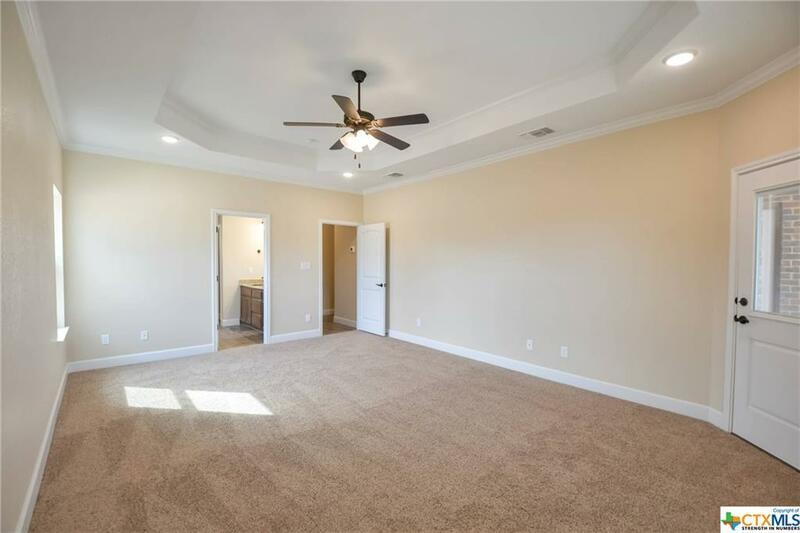 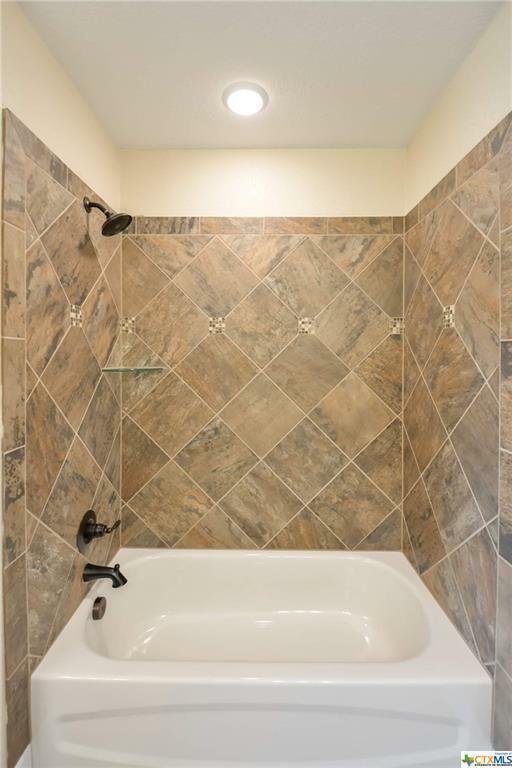 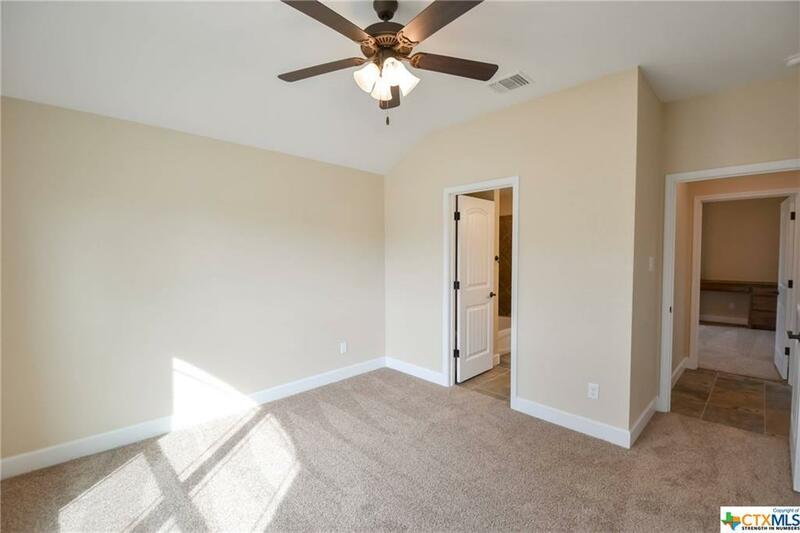 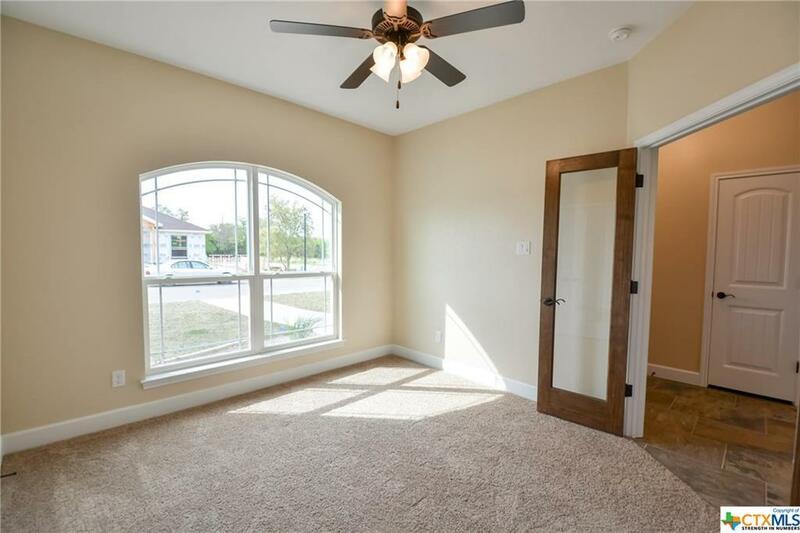 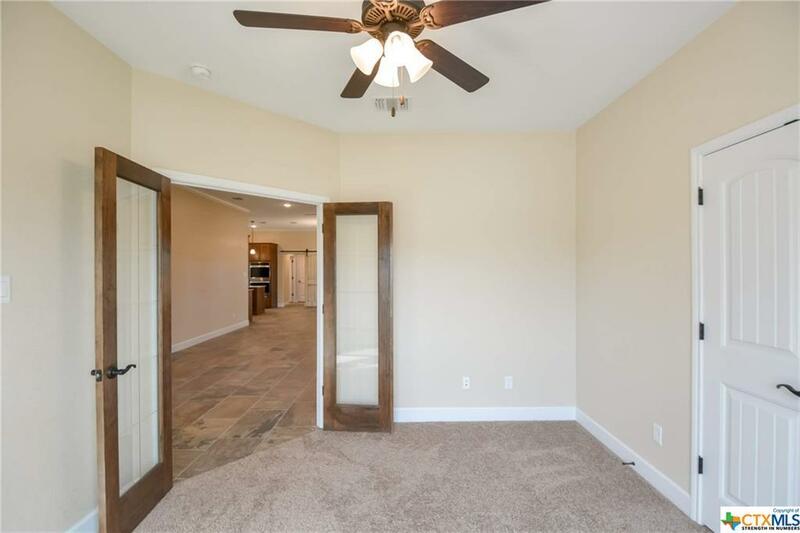 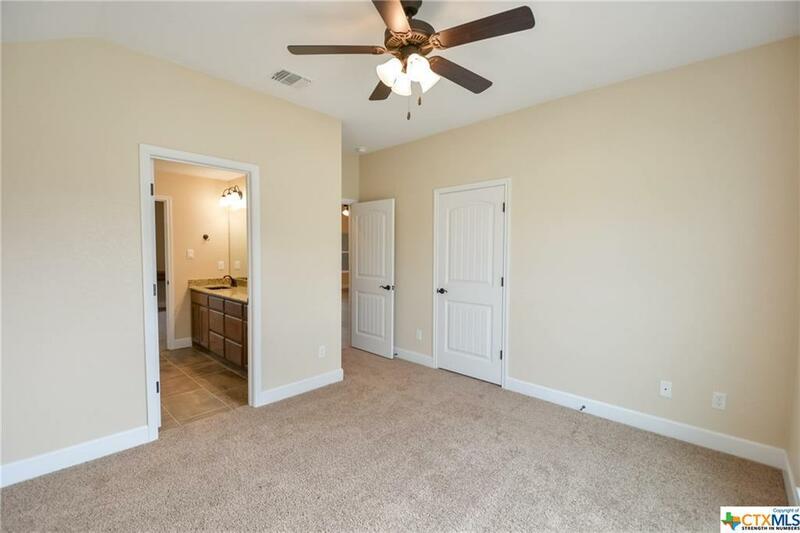 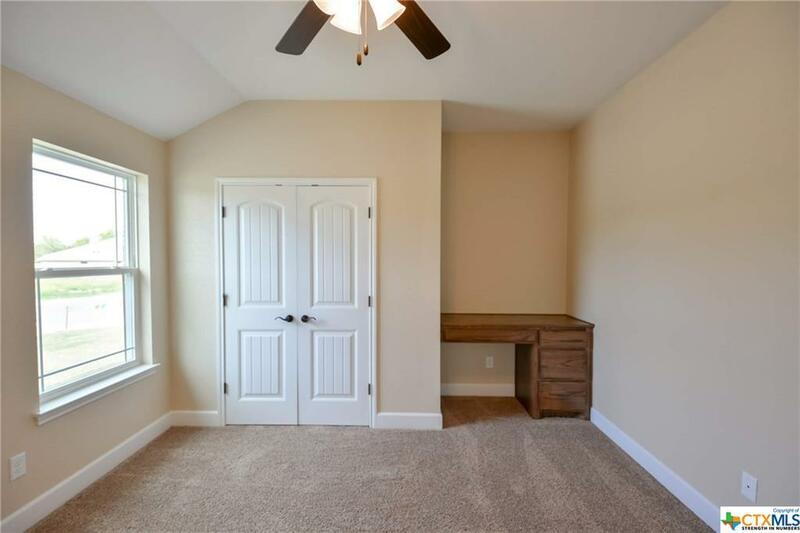 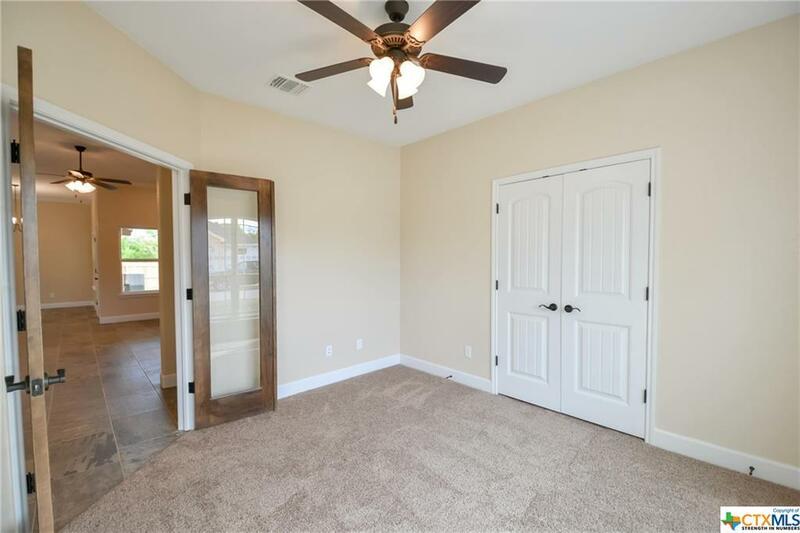 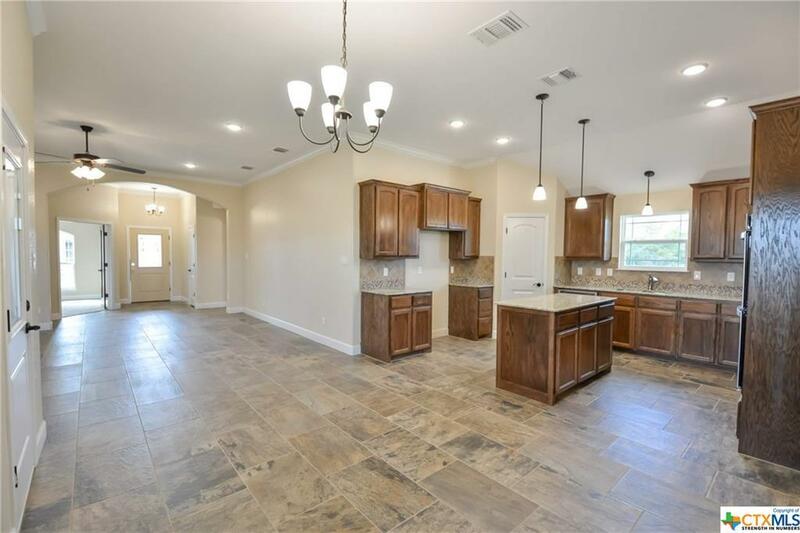 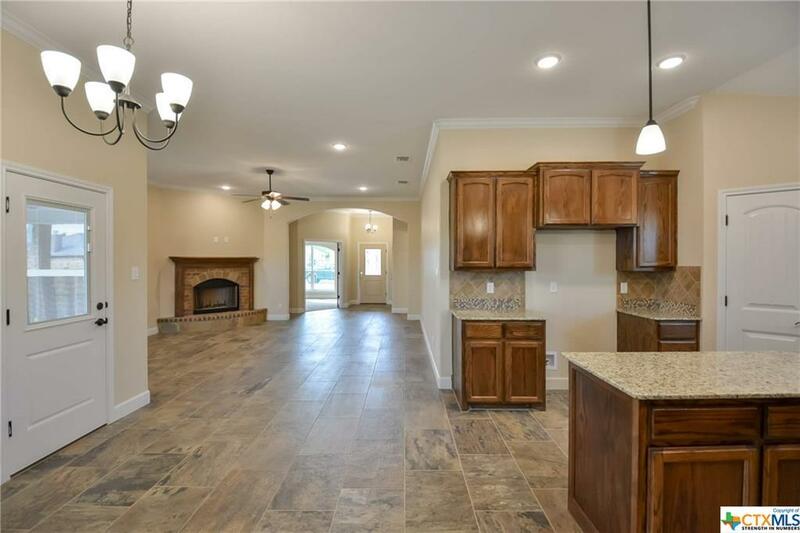 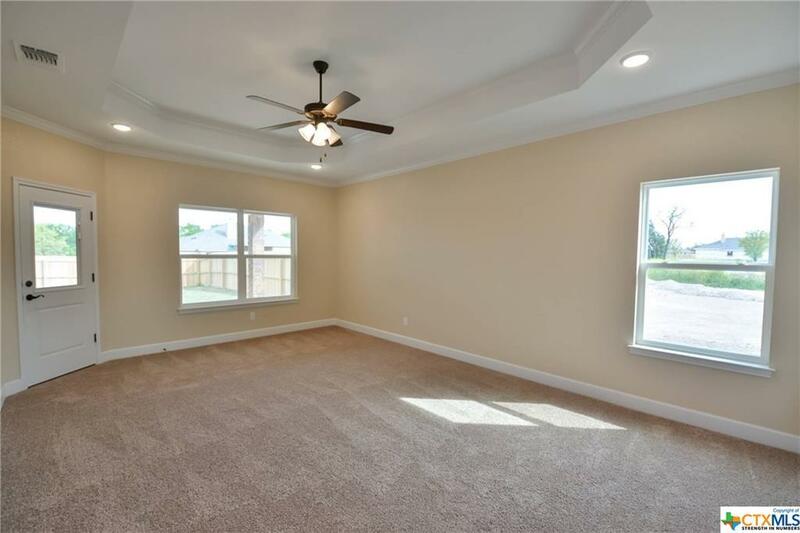 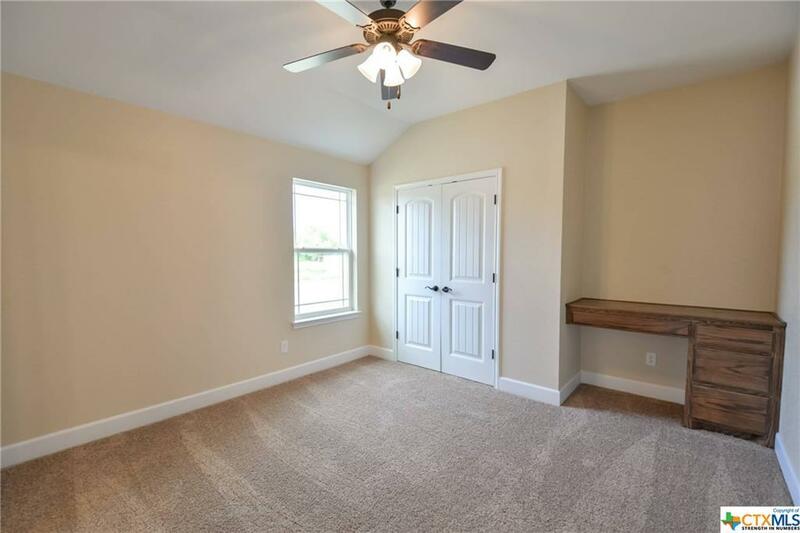 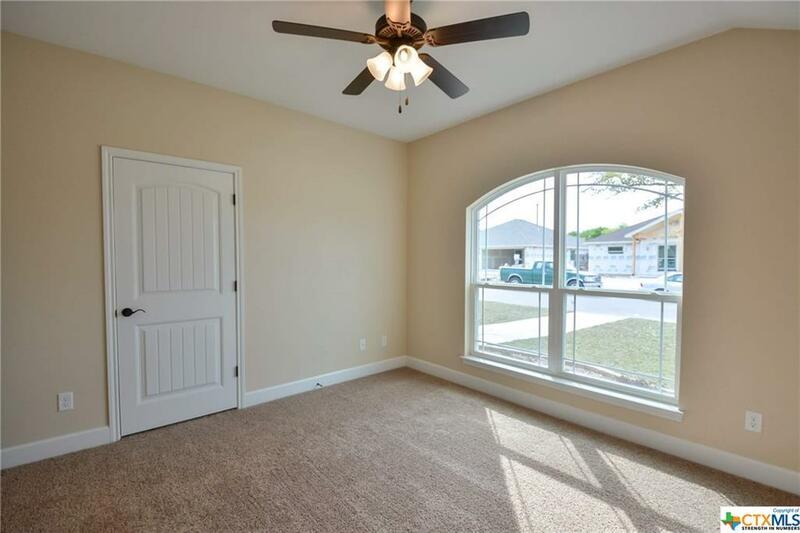 Open floor plan, tile in all areas of the home except for the bedrooms. 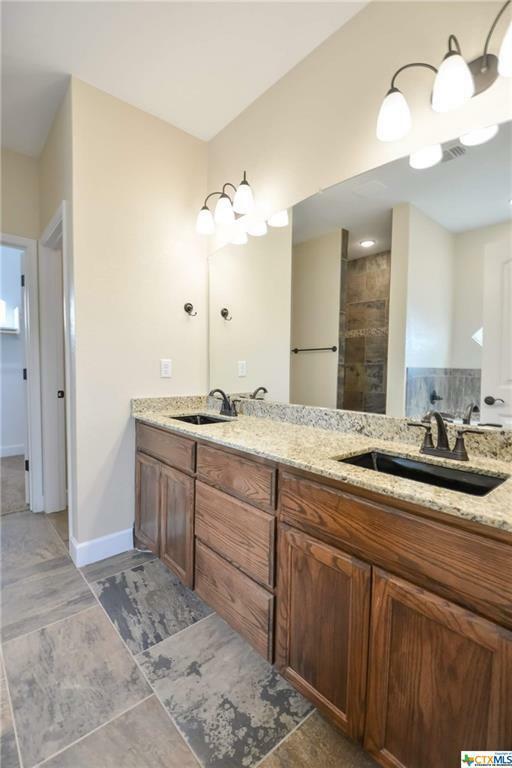 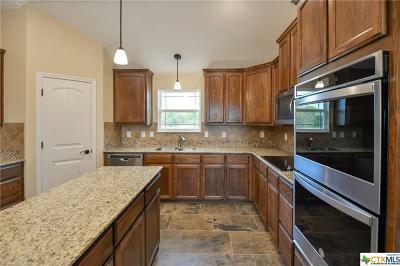 Granite counter tops in kitchen and in both bathrooms. 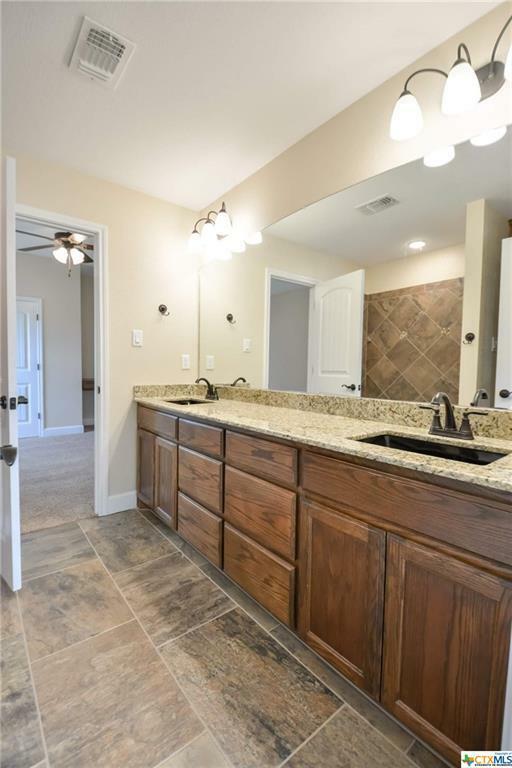 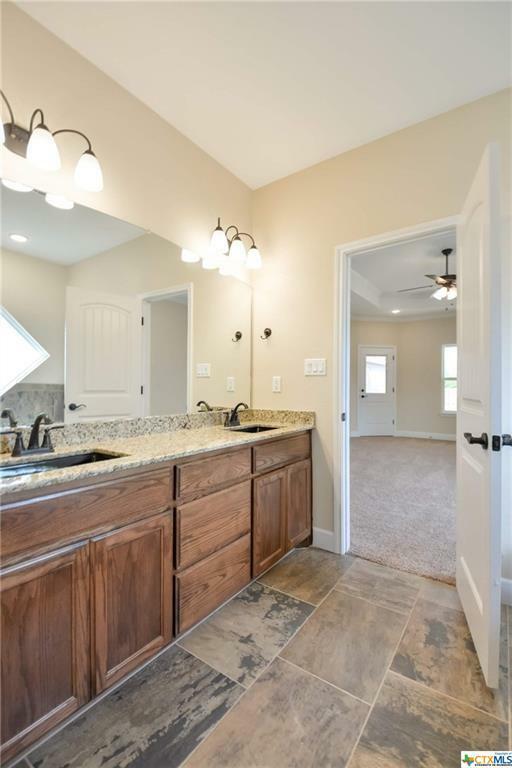 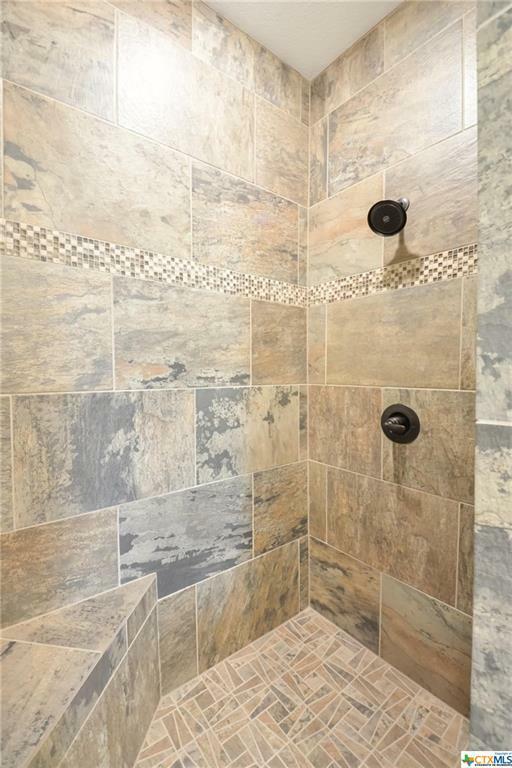 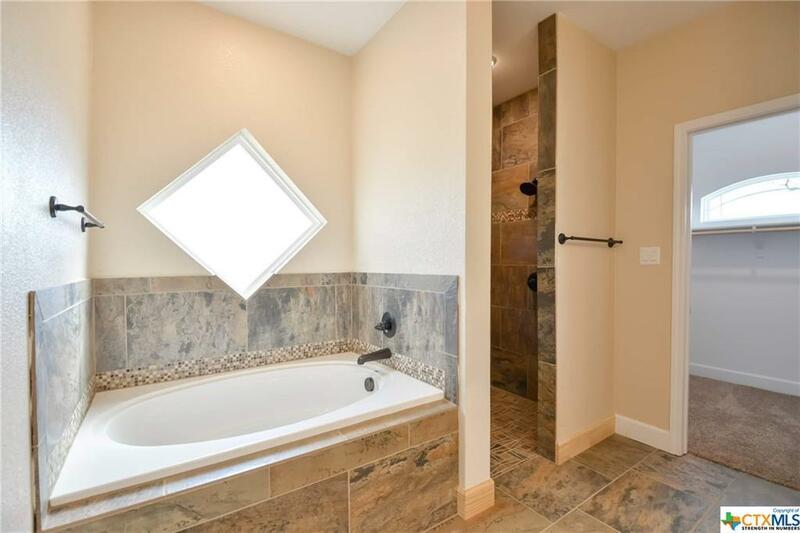 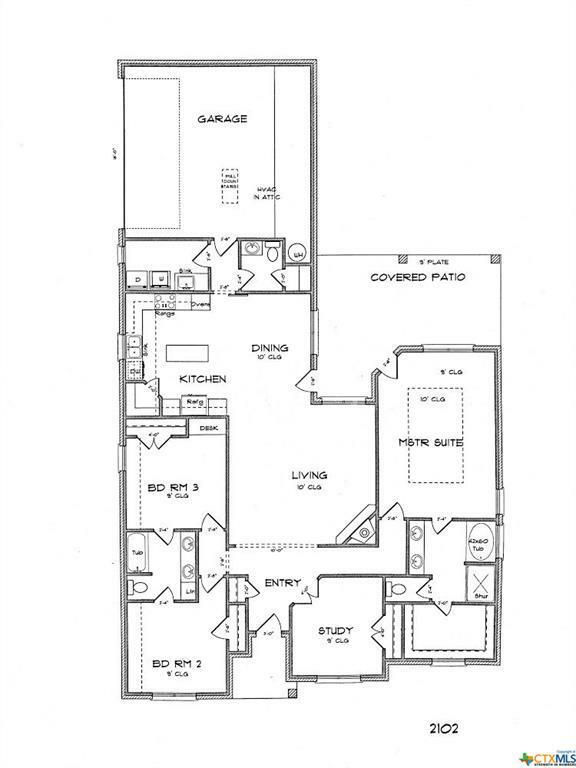 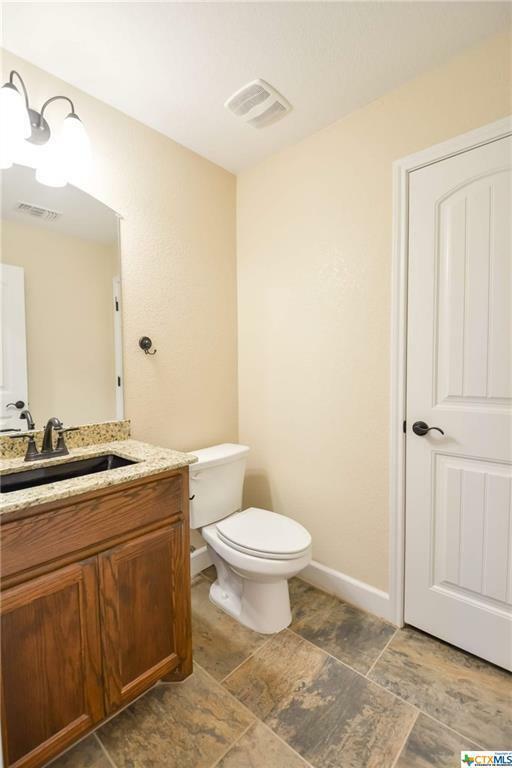 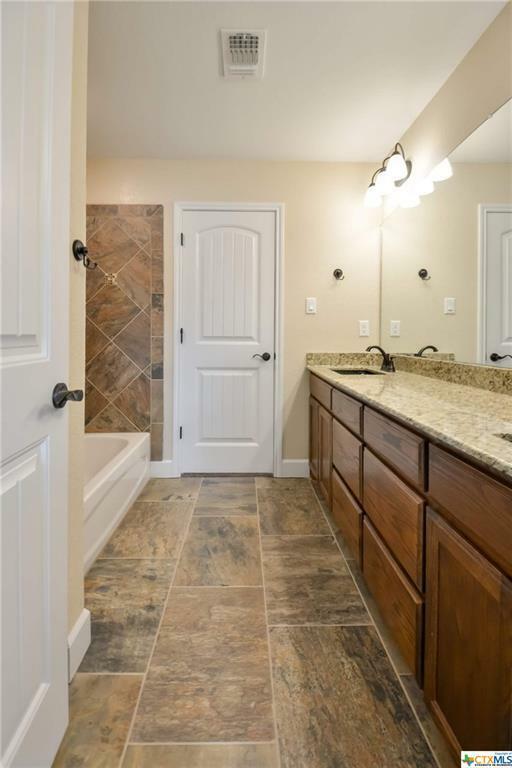 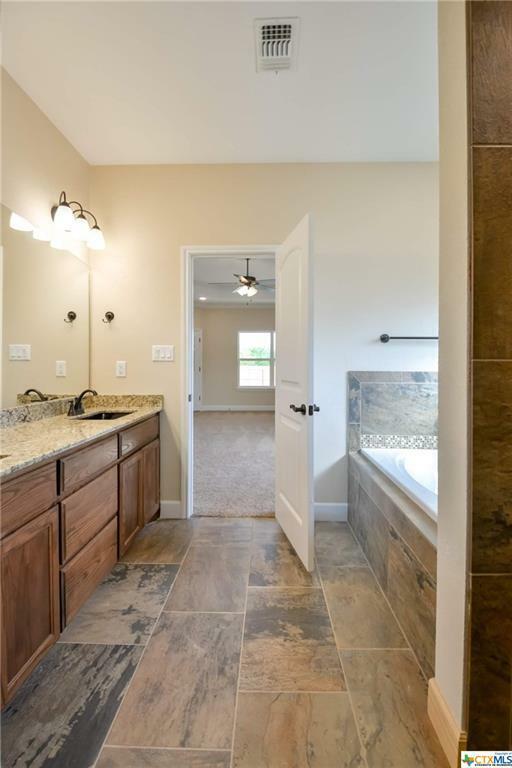 Home has a half bathroom and side entry garage. 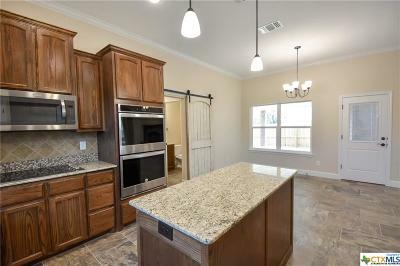 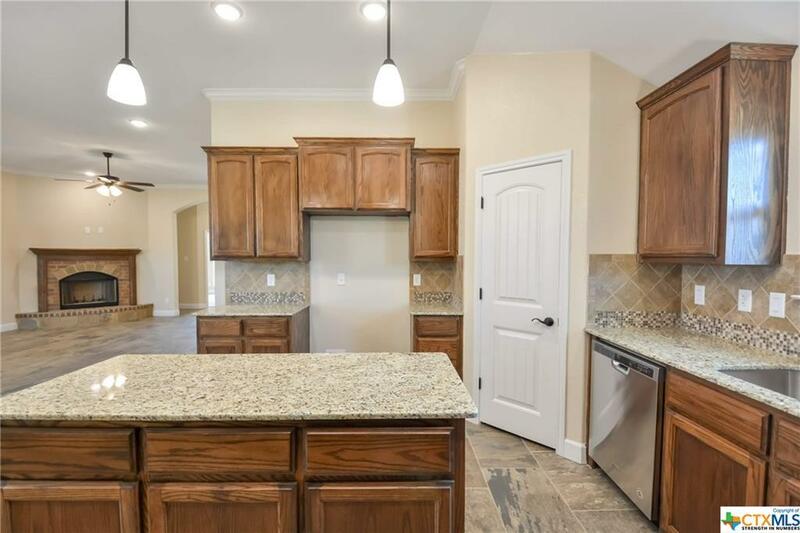 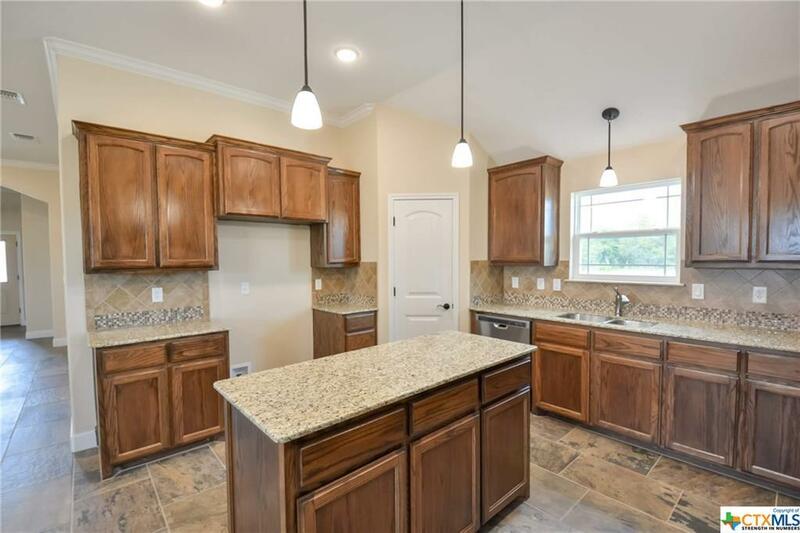 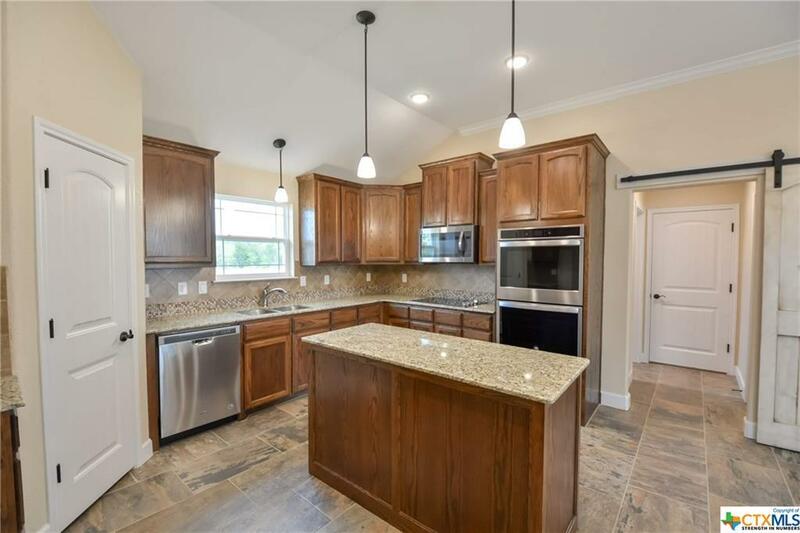 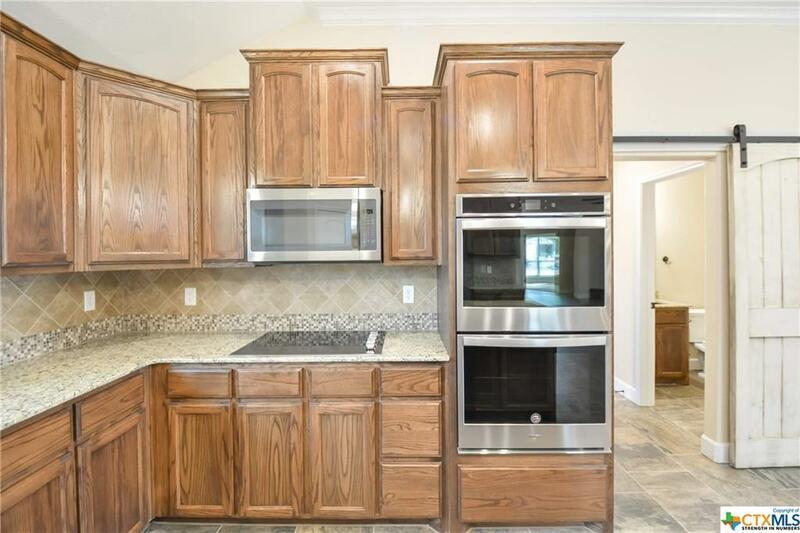 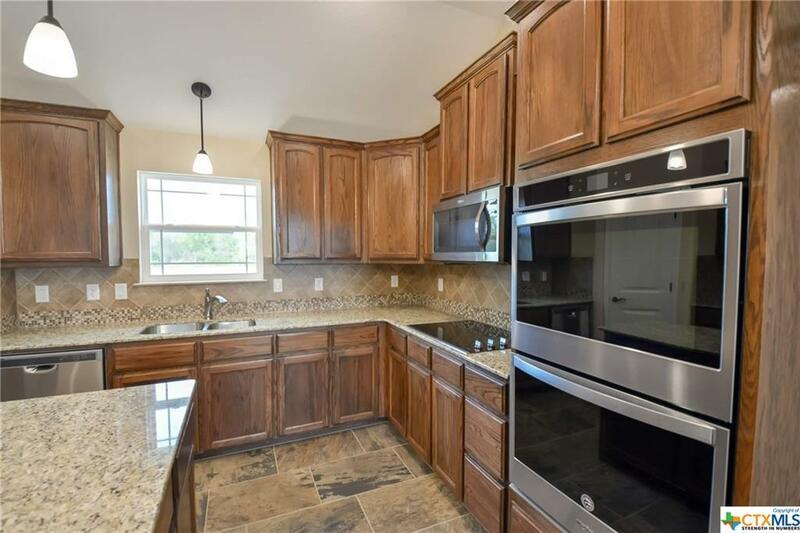 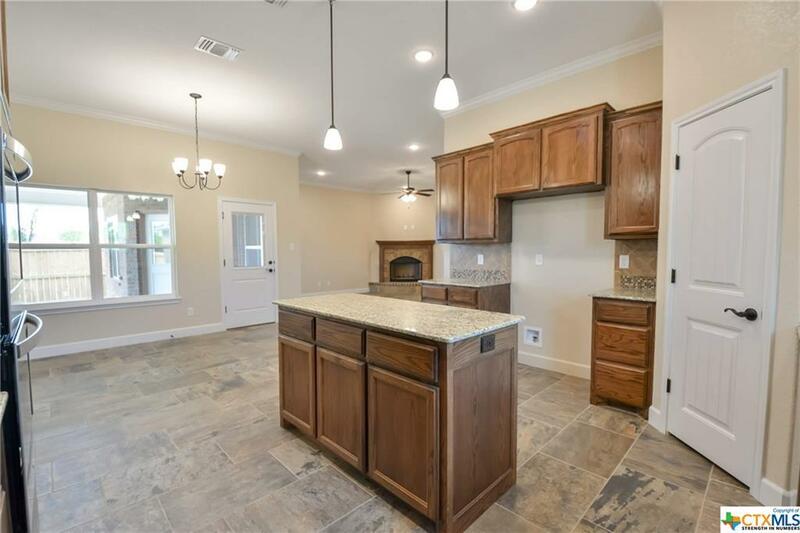 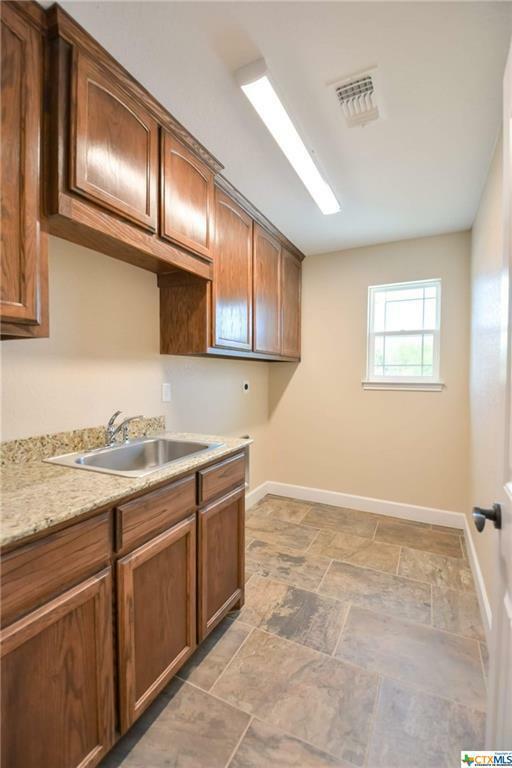 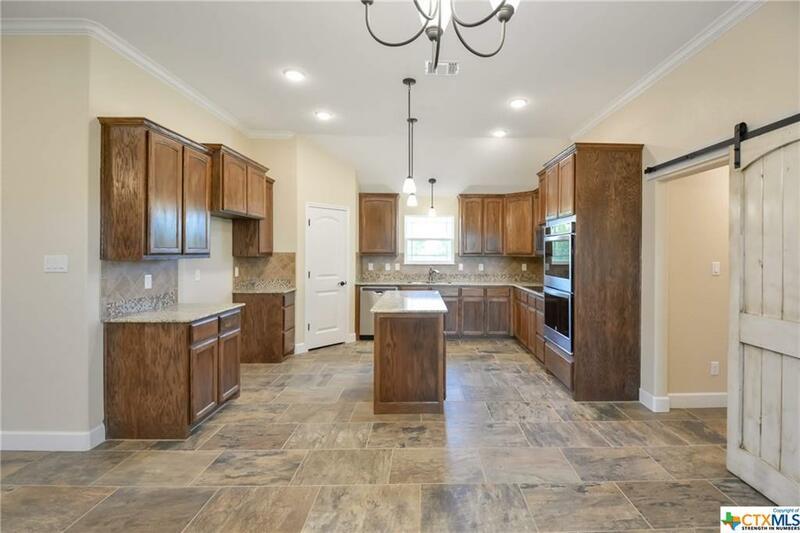 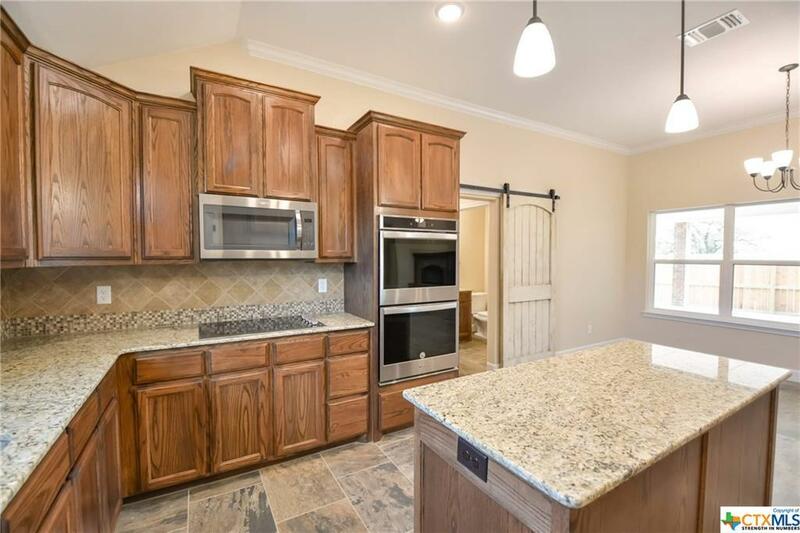 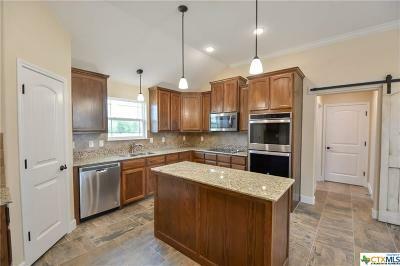 Kitchen boasts an island, stainless steel appliances, double oven, cook top stove, and custom cabinets. 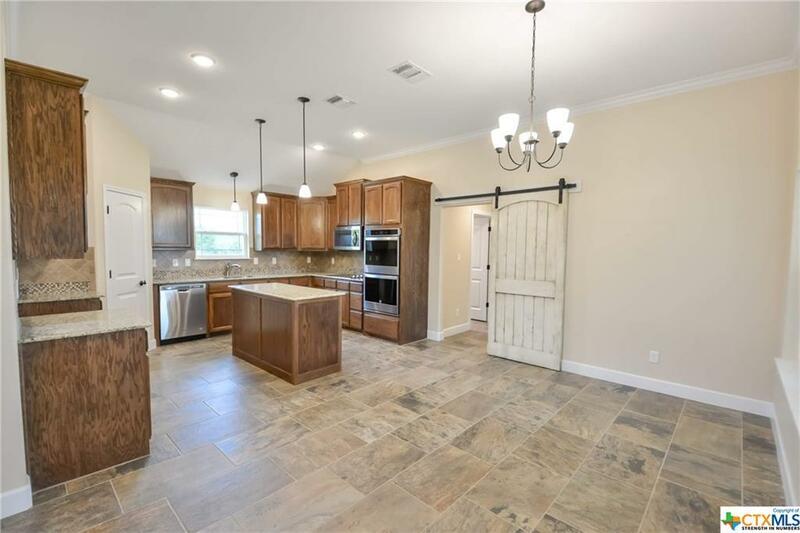 Barn door in kitchen area sets this home apart from others! 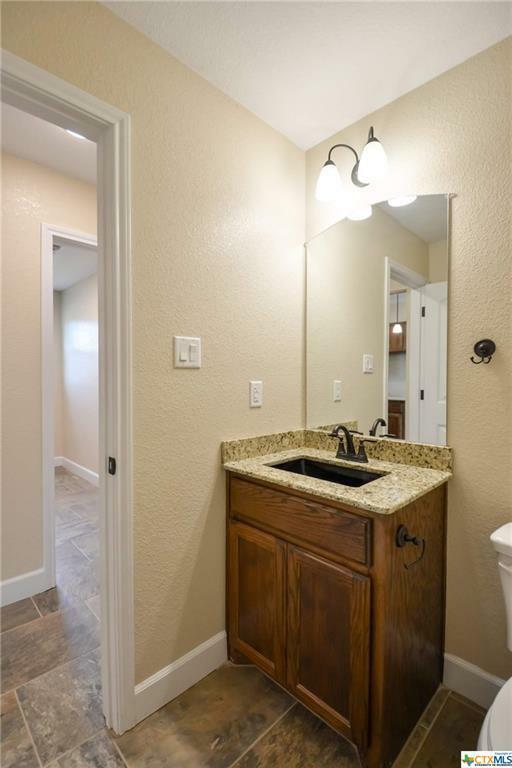 2 main bathrooms have double sinks. 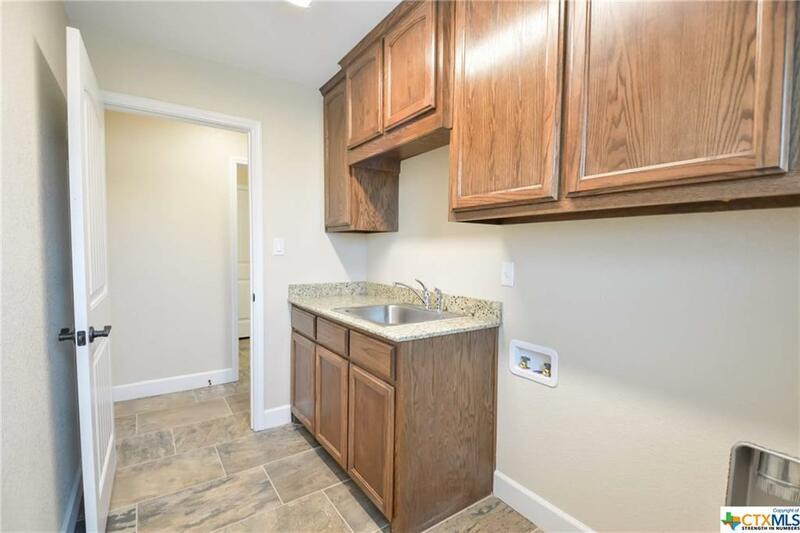 Laundry room has sink and cabinet space. 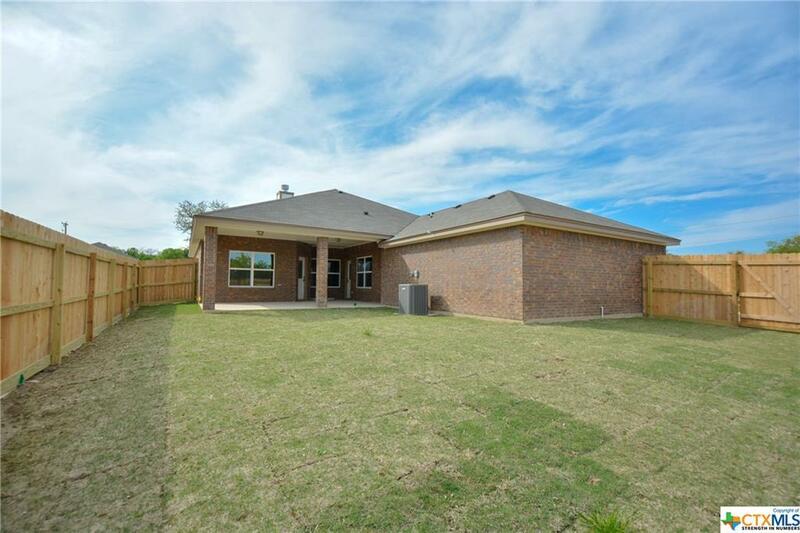 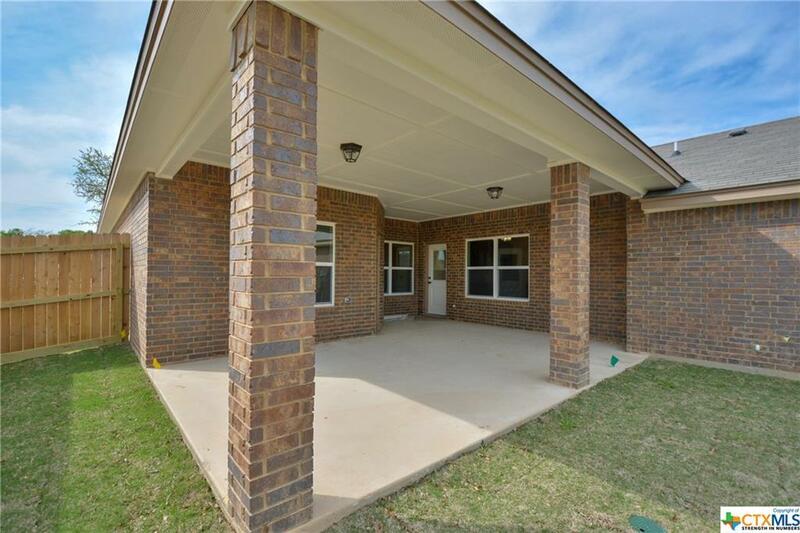 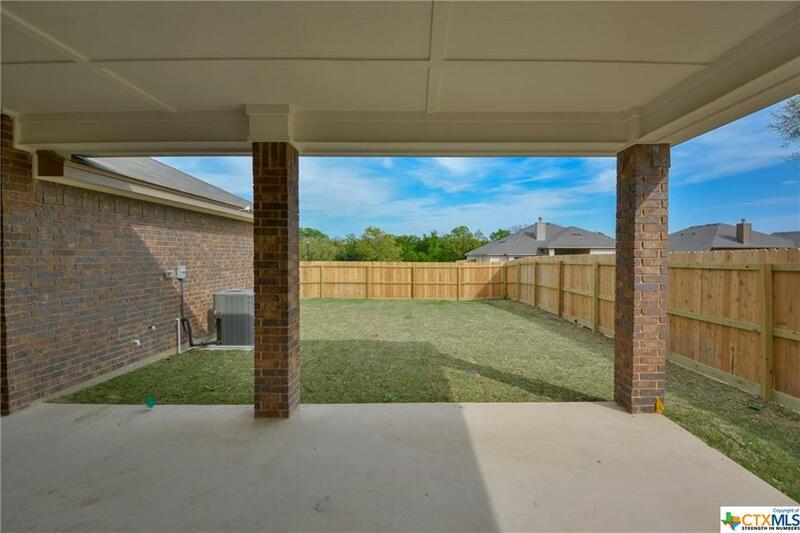 Over sized covered back patio with entry from both the kitchen and master bedroom, full sod front and back, sprinkler system, and privacy fence. 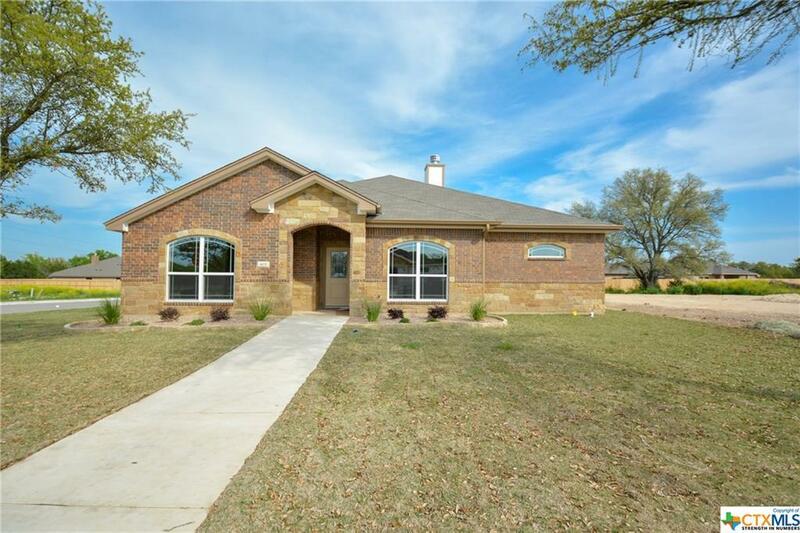 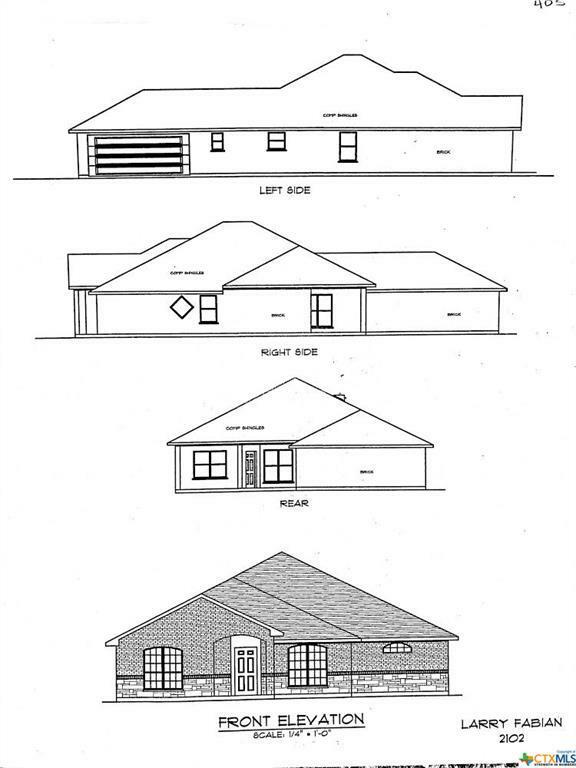 Home sits on a corner lot with side entry garage. 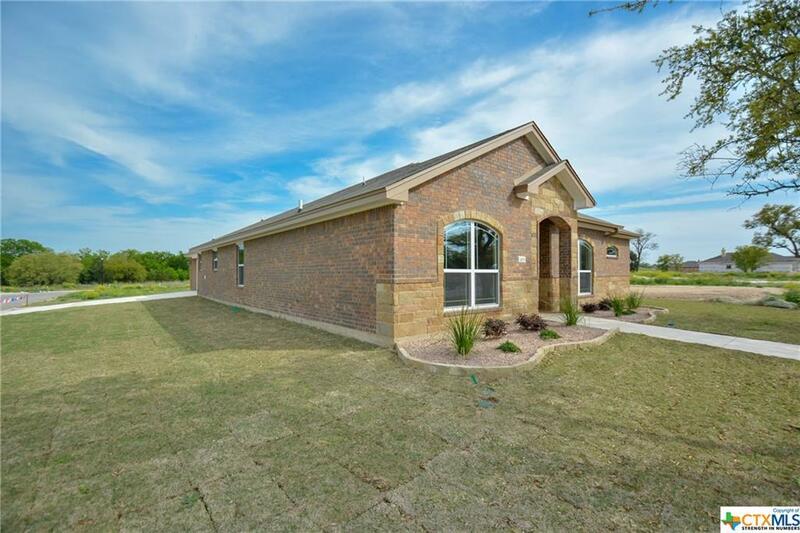 Belton ISD and conveniently located off IH 14.